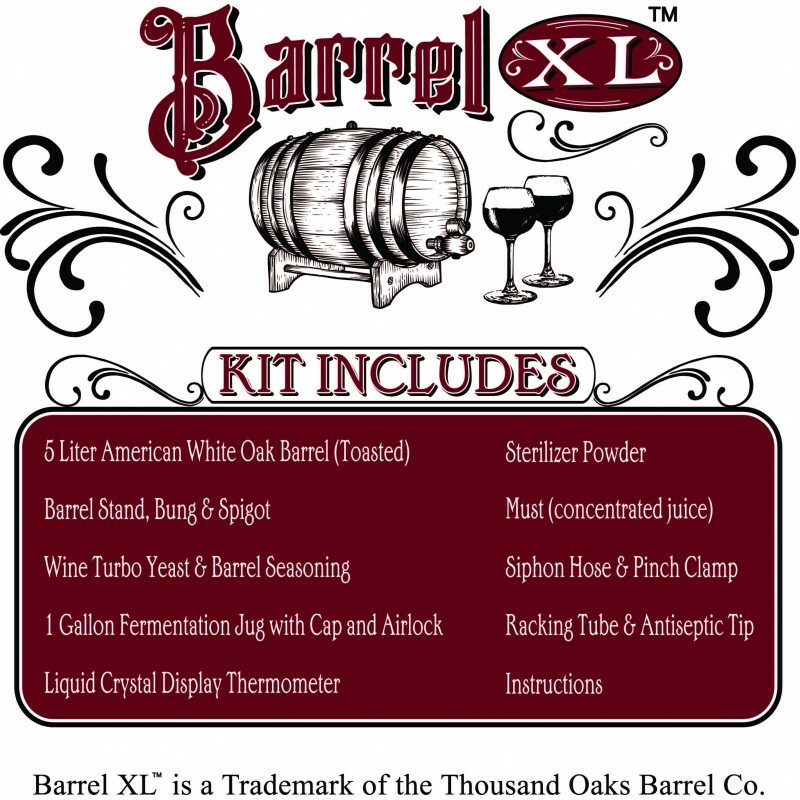 Now, for the first time ever, you can make and age wine at home with the Barrel XL™ Barrel Aged Wine Making Kit.  The kit includes everything you need to make 1 gallon of Cabernet wine and age it to perfection in an American White Oak Wine Barrel. The Barrel XL’s trademarked process includes Wine Turbo Yeast and an American White Oak barrel for an “XL-erated” 30 day wine making experience. 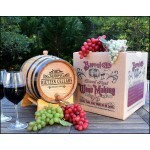 Simply follow the easy to read instructions and in 30 days you have one gallon of GREAT TASTING WINE! 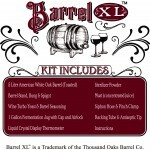 Personalized your Barrel XL™ Kits with your name.